This September, MFA lost a very valuable member of our art community, Ardis Diaz. Ardis, an accomplished fiber and jewelry artist and long-time Anne Arundel County art teacher, was best known in the MFA community as the anchor and support to her husband, MFA Board President David Diaz. 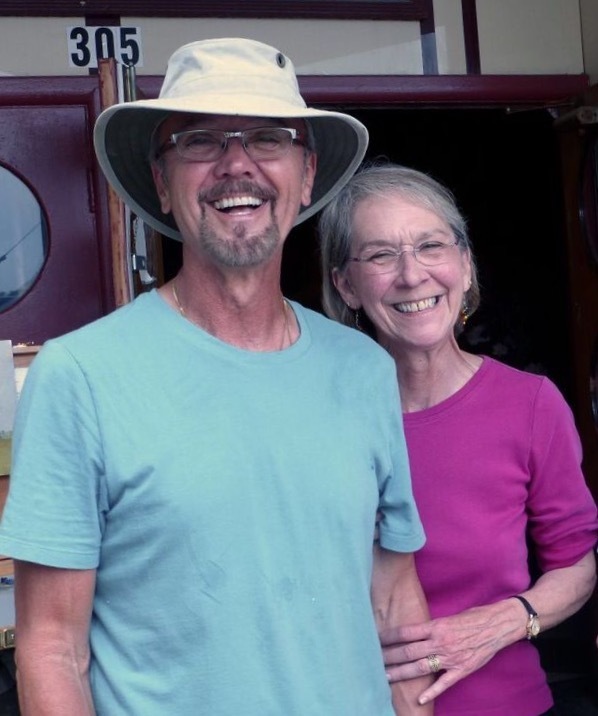 Ardis and David were a well known duo on the plein air painting circuit. In her memory, MFA is establishing the Ardis Diaz Memorial Prize for Painting. The intent is for an annual award for painting to be presented at Paint Annapolis – MFA’s own annual plein air event. A restricted fund will be established by MFA to permanently finance this annual award. Our goal is $10,000. We are asking for your help in establishing this restricted fund. Gifts of any amount may be made to MFA in Ardis’ memory. Multi-year pledges may be made by filling out the form below or contacting MFA Executive Director Joann Vaughan. In order to make this Memorial Fund a reality, David is providing a matching gift of up to $5,000. a wonderful woman, and a supportive wife. All gifts to the Ardis Diaz Memorial Fund are tax deductible and much appreciated. Donations can be made online or in person at Circle Gallery. 18 State Circle, Annapolis, MD 21401.